The Indium Corporation has many summer interns this year. The technical support group was fortunate enough to hire Sarah Bjornland (pictured). She is a very bright student from the University of Rochester, studying optical engineering and minoring in dance. She is scheduled to graduate in 2017 and wishes to continue her education in Optical Engineering though the masters level. At Indium Corporation, Sarah has been working on customer-driven projects involving our printed circuit board and semiconductor assembly products in our state-of-the-art Advanced Materials and Process Development Lab. Adam: Can you talk about the projects that you have been working on? Sarah: I have been working with engineers learning a variety of test methods that they use to characterize solder fluxes and solder pastes. 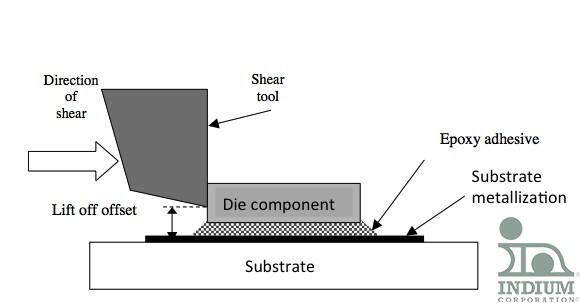 For example, I have worked with a die shear to determine how flux affects underfill performance. I have also been responsible for working with solder paste and helping to see how it responds to staying on the stencil (response to pause) for various lengths of time, then evaluating the printing performance. Adam: How do you feel these projects impact the Indium Corporation? Sarah: Many of the projects I have worked on involve new products, or a new way to use a product. The tests that are done help give a better and more thorough understanding of how these products will perform on the customer’s production floor. Adam: Is the material intellectually stimulating? What is your favorite project? Sarah: All of the projects I have seen here at Indium Corporation are interesting. Before this internship, I never knew any work of this sort existed, and I am still being surprised and impressed by new projects. While I have enjoyed all of the work I have assisted with, my favorite part of each project is analyzing and reviewing the results. For examples: collecting and organizing the voiding results after printing and reflowing a new solder paste, or comparing how each flux and underfill performs after die shearing. Our Interns don't do “busy work”. Sarah's work has direct customer impact. Maria Durham (Technical Support Engineer – Semiconductor and Advanced Assembly Materials) had this to say about the processes that Sarah is working on. Maria also authors a blog, if your are interested it can be found here. Great work, Sarah! Thanks for being an important part of the Indium Corporation 2015 Summer STEM Internship Program.